©2015 30" x 41" (Wall Hanging, shown in photo), 62" x 74" (Throw), 80" x 90" (Queen). While in camp, soldiers spent idle time repairing their uniforms, reading, writing letters, serving guard duty, and playing card games and dominoes. 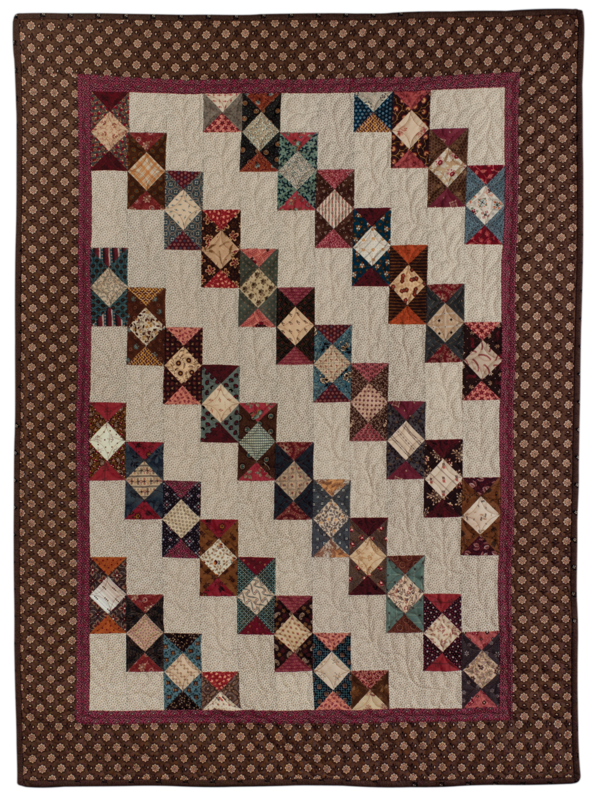 Many soldiers carried small sets of wooden, bone, or ivory dominoes in their knapsacks or pockets shaped like the 2" x 4 1/8" blocks in this quilt.